Considering Macon has served as a launching platform for numerous artists, it should come as no surprise that the holiday season features a schedule packed with artistic talent. These performances are family fun options that will surely leave everyone feeling holly and jolly. Beginning December 9, The Grand Opera House will host numerous performances of The Nutcracker. Enjoy an enchanting evening of music and ballet featuring some of Macon’s brightest talent. Shows will run until December 13 and will occur at various times. Student ticket pricing is available. If you are looking to get into the Christmas spirit, the Choral Society of Middle Georgia has the perfect opportunity to do so. 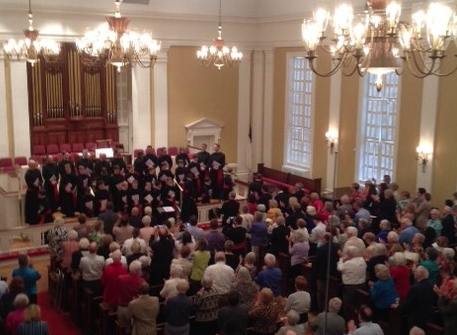 On December 11 and 12, they will be performing Handel’s Messiah. The beauty of St. Joseph’s cathedral will highlight the incredible voices of Middle Georgia’s finest singers. Both shows begin at 7:30pm and have an admission price of $10. One week before Christmas, John Berry will be performing at the Grand Opera House. The Grammy-nominated artist will host his Christmas Concert from 7:30-9:30pm on the night of December 18. This is a show you won’t want to miss so purchase your tickets at the low price of $37 while you can. The beauty of the holiday season can also be enjoyed free of charge. Pianists, Woori Kim and Curtis Smith, will be performing at Vineville United Methodist Church. The December 20 show begins at 4pm and will last for approximately two hours.